Have you ever thought about publishing your blog posts directly from your desktop without logging into your WordPress account? Or what if you are traveling (with no internet) and an idea strikes you; don’t you want to jot down your thoughts before they all leave? Well, this is where offline desktop editors come into the picture. There are several great offline writing tools (compatible with WordPress) available. 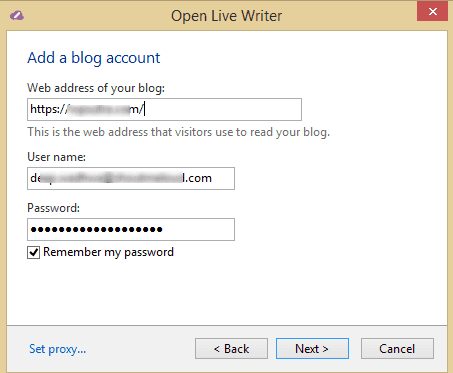 For Windows, we have: Open Live Writer. For Mac, we have Blogo and Desk. 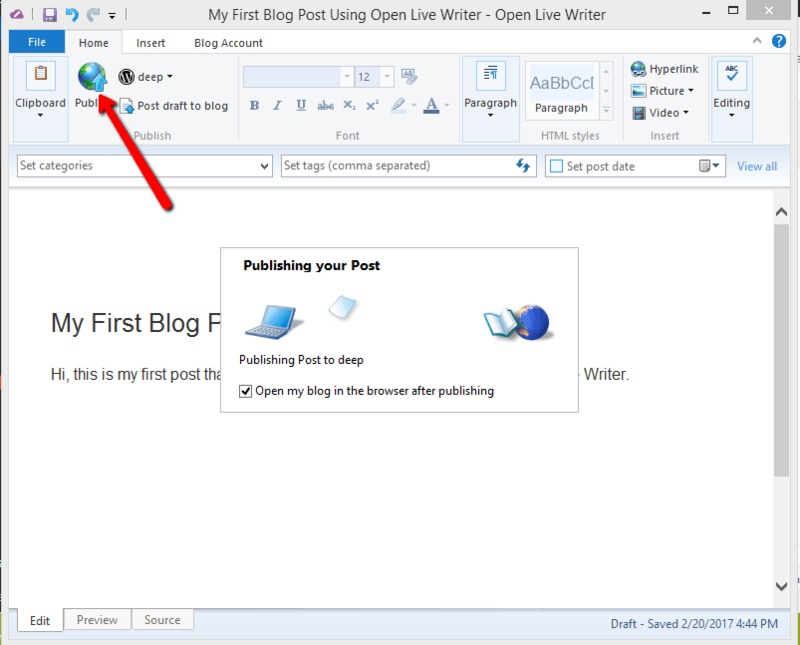 This guide is for Windows users on how to write a post from their desktop (using Open Live Writer) & without logging into the WordPress dashboard. 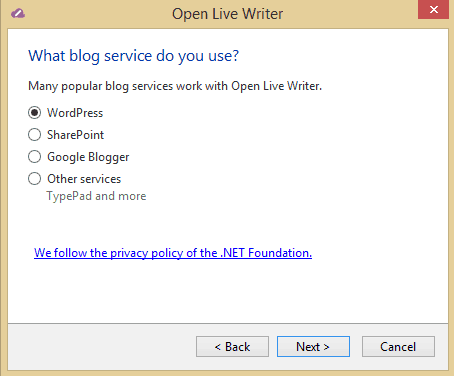 Open Live Writer is an open source application. It’s a powerful and lightweight desktop blog editor where you can create blog posts, add photos and videos, and publish posts to your website. 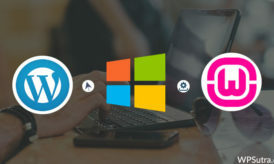 It also connects with all popular blog providers such as WordPress, TypePad, Moveable Type, Blogger, DasBlog, and others. 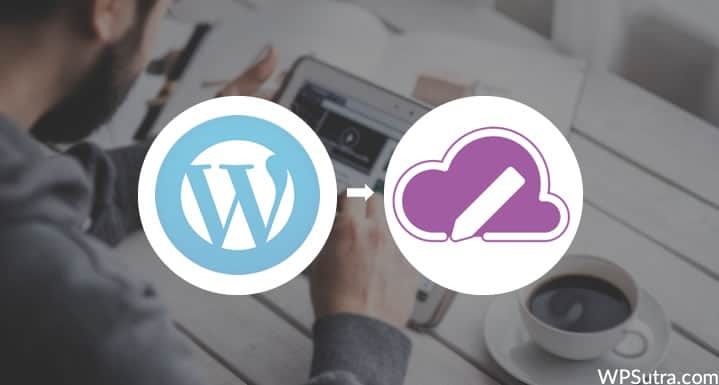 In the following tutorial, I will show you how to connect your WordPress blog to Open Live Writer, and how you can use this application to publish your blog posts directly from your desktop. Downloading & installing Open Live Writer. Connecting WordPress to Open Live Writer. 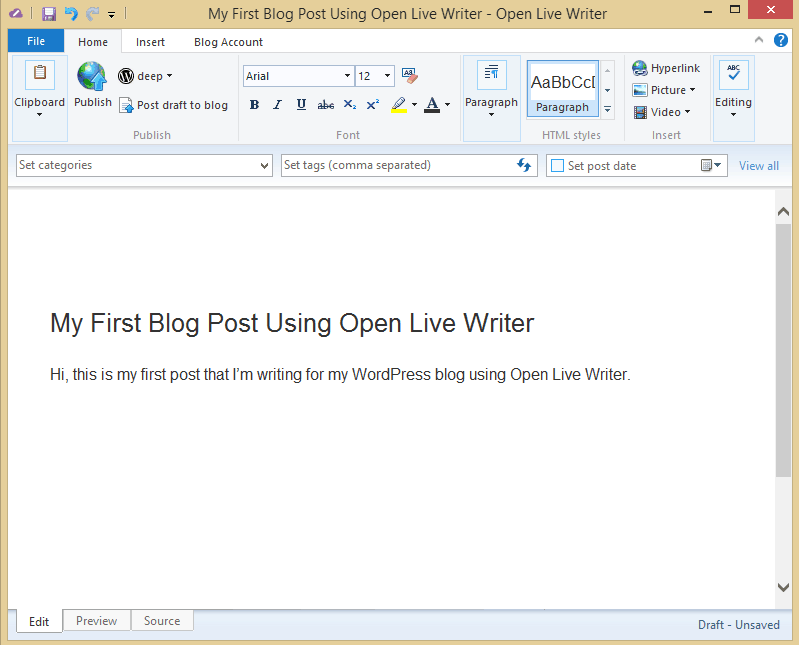 Publishing a blog post using Open Live Writer. First, download the Open Live Writer setup. 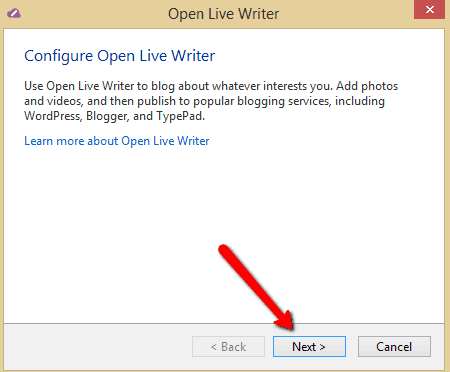 Click Next to configure Open Live Writer. Select your blog service as WordPress and click Next. Add your blog account. Fill in your blog’s web address, username, password. You will get a message to download the blog theme by publishing a temporary post. 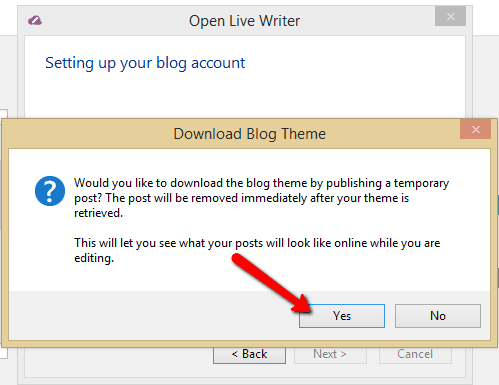 This will download the same replica of your blog’s theme, and help you see your blog posts offline while you are editing them in Open Live Writer. The temporary post will be removed once the theme is retrieved. Click Yes to continue. 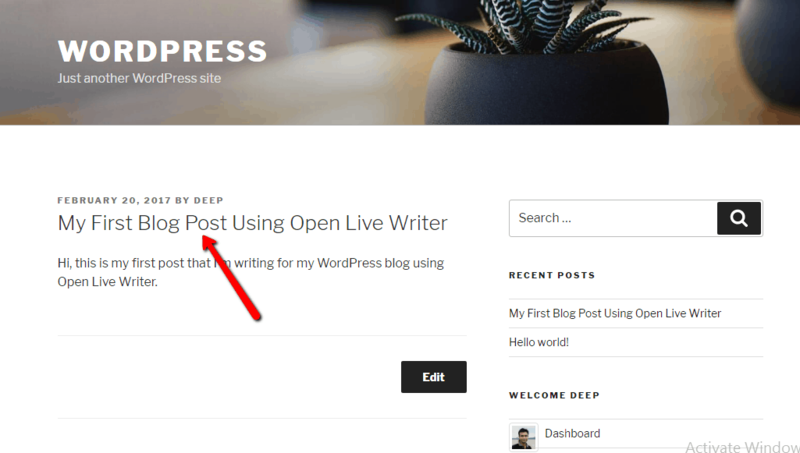 This will set up the connection between your blog and Open Live Writer. Enter your blog’s nickname and click Finish. Your WordPress blog is now successfully connected to Open Live Writer. It’s time to write your first post using the editor. 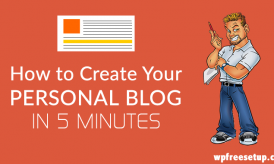 Define your post title and craft your blog content. This is how I wrote my first post. Publish the post once you are done by clicking the globe icon. Visit your website and see the post in action. 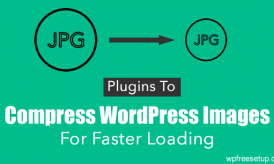 Your post is now live on your WordPress blog. From now on, you can start blogging directly from Windows dashboard. However, I recommend you to safe the post as draft & add the SEO data using Yoast SEO plugin manually. By adding SEO meta data you will increase your chances of getting more views from search engine. Always rename the image to something meaningful before adding it to Windows live writer or uploading to WordPress. This helps you drive traffic from Image search engine. 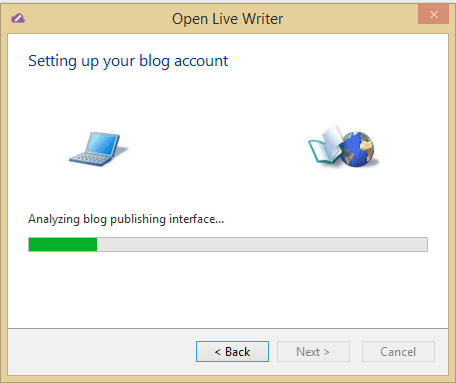 Overall, by using open live writer you would improve your productivity & will blog faster. It’s so easy. Isn’t it? I hope the above tutorial will help you in using the Open Live Writer tool. It will help you save time and allow you to work offline with ease. Find this guide useful? Share it with your friends! Awesome guide about handling WordPress through desktop. I was looking for it. But one question left what you suggest for mobile users? What exactly you meant to as with “Suggest for mobile users”?? Could you be please more specific. Great application but can i manage my whole blogs are only one. 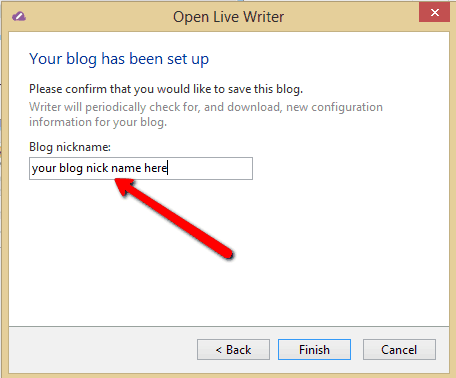 As mentioned above Open Live Writer is an offline editing tool. Is it possible to publish the post offline? To publish your post you need to be connected to Internet. Thanks for sending this information straight to my inbox. I will definitely try follow guide. This article help me a lot in my blogging style. Thanks to Open live writer.